Throughout this year I have been introducing carefully computational design with Dynamo in the world of the structural engineer. This by publishing posts on how to build up complex analysis models in Robot Structural Analysis and by reaching out to structural optimization techniques. In one of my classes at Autodesk University 2015, I teached some of you how to actually apply these structural optimization techniques in Dynamo and Robot Structural Analysis. Although I find this a very advanced and heavy topic, still there was a great turnout at this class, which made me really happy ! Now the year is almost over, and it’s time for you to get up and running with these techniques. As promised I would share anything about this on this blog. Now is the time. You can find a full written step-by-step handout, the presentation and lots of datasets online now. Besides that, the class is recorded. So those who couldn’t make it to Las Vegas, watch the recording and learn about Dynamo and Optimo at your won pace. Today, I had a very deep dive into Robot Structural Analysis, when teaching the Northern European channel partners. 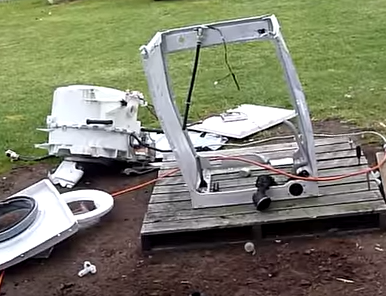 At a certain moment David Truyens from Datech Belgium came up with a funny video of one guy trashing his washing machine by putting bricks in it. In fact the brick causes a heavy unbalance of the machine, with disastrous consequences. Have a look at it yourself on this link. Notice the wooden pallet that supports the machine. So I started thinking how this would look like on a building structure, supporting this washing machine, or something simular poking the floors of the building. 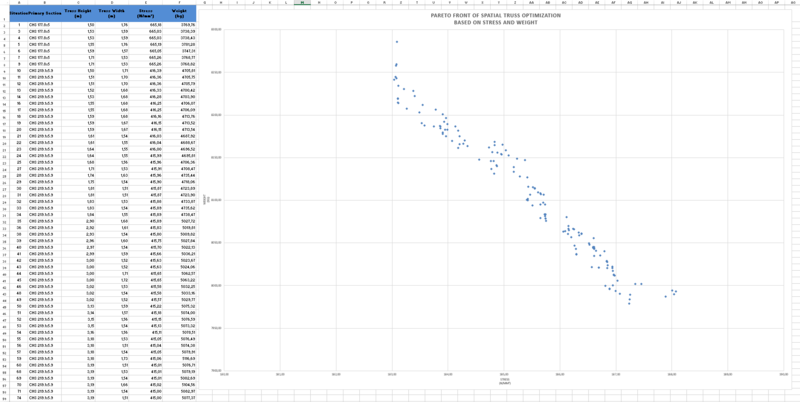 I ended up building up a Time History Analysis in Autodesk Robot Structural Analysis. The video below shows you the steps to take in order to make an animated result of the effect of a time dependant, harmonic load on the structure. The simulation is done by applying a horizontal force with a sine function over a defined time period for a frequency of 3Hz and analogue a vertical force applied with a cosine function. Tip: While watching the last 20 seconds of the video you could listen to some music like the “Harlem shake”. I would like to share with you a project I will work on more in depth later on this work year. It concerns a continuous steel truss girder bridge. In many cases the bridge engineers need to take assumptions before they start building up their analysis models. With the next video I want to show you how this can be anticipated by using Autodesk Dynamo Studio and Autodesk Robot Structural Analysis. With this combination you can (again) explore multiple design options of your analysis models. This script should be more elaborated as we want to go further into the domain of structural optimization and steel modelling with Autodesk Revit. But that will be something for the sequels on this topic. You can download the script used in the video below, by clicking this link. 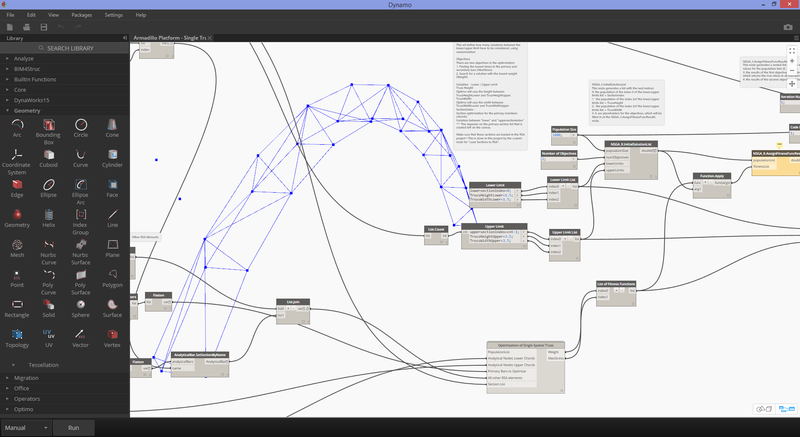 Be sure that you install the “Structural Analysis for Dynamo” package first before using it. Meanwhile life at “Dynam(o)ite your Design for Engineers” continued. The engineering company has been able to aim on more complex building projects, since they have been using Dynamo with Revit and Robot Structural Analysis in their workflow. Huh? Genetic optimization algorithm ? That’s where the Optimo package for Dynamo comes around the corner ! It takes some time to get familiar with Optimo but once you figure out it’s “personality”, you’re really going to love it ! 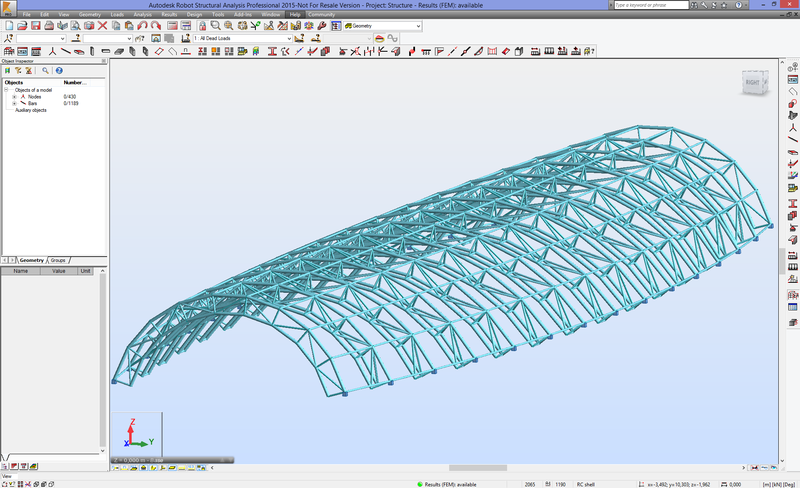 Use Dynamo to identify the truss with the largest span from the Armadillo Roof project from Part 1 (could be using the Revit surface directly, or using a SAT exported example from the roof). 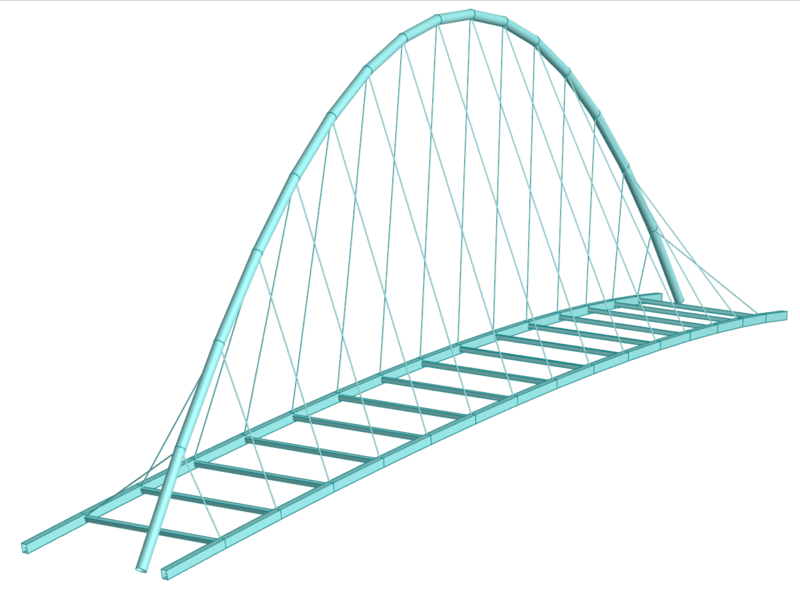 Connect Dynamo with Robot Structural Analysis Professional (RSA) and generate geometry, boudary conditions and loads for that truss. Connect the RSA calculation results with the Optimo nodes and let Optimo generate the right population for it. See further below for some setting advise. 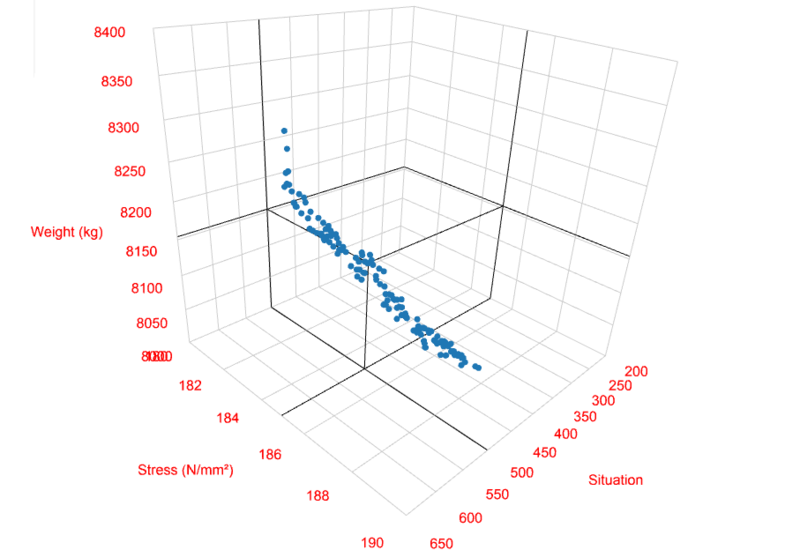 Optionally you can visualize the results in 3D Scattered diagrams, like i.e. this one from the online platform plot.ly. You can look at the diagram yourself using this link. Population Size = 1000. 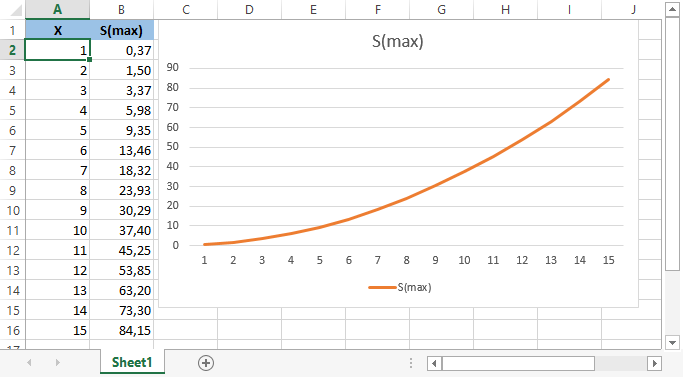 Choose 1000 possible parents to be considered between the lower and upper limits from the initial solution boundaries. The optimo algorithm nodes will make “genetic altered” solutions (children) for those 1000 headed population. Our own structural optimizational village ! Section Index: choose a specific section from a list to apply on the chord members. Let optimo choose between the whole range of indicated sections in the script. The lower the index, the lighter the structure. Truss Height: the biggest influence on the stress is of course the truss height. The internal stress will decrease with an increasing truss height. The weight will inversely proportional increase. Truss Width : this will influence the stress and weight at the same way. Using these statements, Dynamo will change the structure within Robot Structural Analysis for a large amount of randomly generated combinations that have been configured in Optimo between the lower and upper limits. Each change in the configuration is a result from the initial population that is “genetically altered” by a number of iterations, to obtain the common objectives of the population. For this calculation, the engineer discovers that the decrease in stress doesn’t mean decrease of weight. Not at all, the objectives are acting inversely. This means, the engineer will have more than one solution again. But this time, the proposed solutions are precisely generated and are optimal in their solution domain. An additional objective could be the global deformation of the truss. Conclusion in this episode is that with Optimo, the generation of solutions is more accurate and faster then using a parametric run. Special thanks to Mohammad Rahmani Asl for his support in understanding the Optimo process ! Anyway, I want to share with you these resources, as I am convinced that they might help you in learning and understanding Robot Structural Analysis better. Please, feel free to sent me more suggestions if you want, and I can append them to the list of this post. Nuno Teixeira (@nhteixeira) shows nice video instructions with clear theoretical engineering background explanations on his YouTube channel. I can also suggest you to have a look in the free iBooks of Tomasz Fudala (our Technical Marketing Manager for Structural Engineering at Autodesk). There is the new “Build your Robot Structural Analysis IQ” video series that give you Tips & Tricks in the use of RSA. Find them on this YouTube channel. The Autodesk forum is very active on Robot Structural Analysis. Worthwhile looking if your questions hasn’t been solved yet there. At Autodesk University there have been a lot of classes on RSA. Click this link to get an overview of the classes and watch them at your own pace. 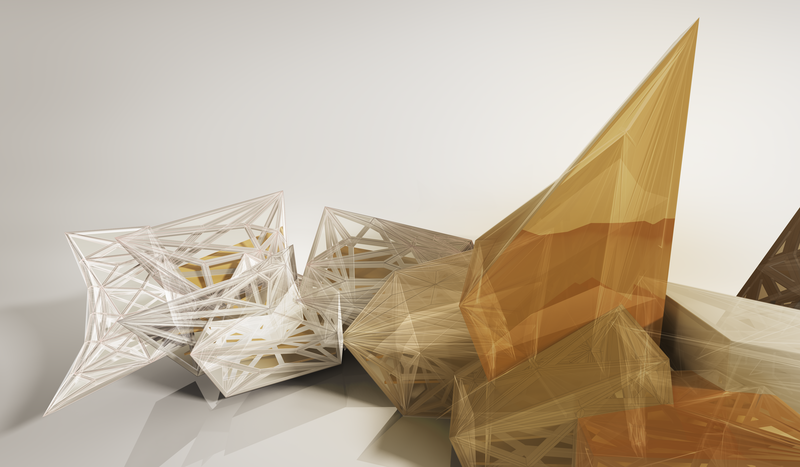 We also have our SimHub at Autodesk where you can find official resources. Another site collecting resources is Robot Vault. There you will find references to books, videos, … This inspired me in fact to make this small list on my blog. Finally there is our own Knowledge Base for RSA: see this link. Too often during a construction design process, the contractor needs to start with the execution on site of the foundations, even before the engineer has been able to decide how to calculate the upper structure in detail. In that phase of the process, engineers make use of “load takedown” analysis or “gravity” analysis. This was made possible with applications like Autodesk Concrete Building Structures (CBS Pro) or the Load Takedown tool in the Autodesk Revit Extensions. 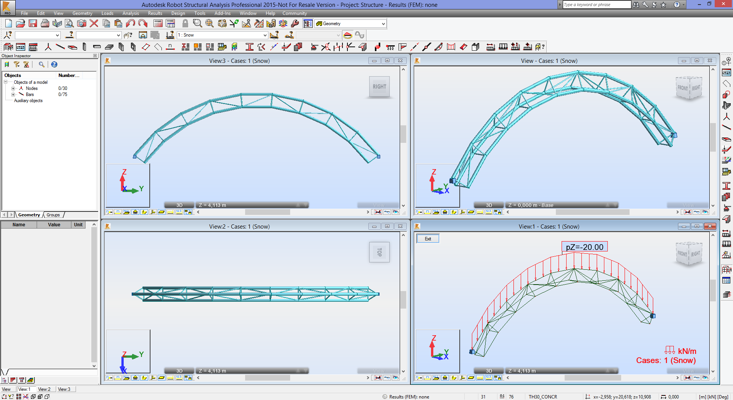 With the Structural Analysis Toolkit for Revit 2016, there is a new analysis type available, called Gravity Analysis. With this tool you can make use of the Revit analytical model, selfweight and imposed loads in your model, to calculate in the cloud with the Structural Analysis 360 service. Sit back and enjoy this video showing you the ease-of-use of this brand new tool. In the previous episode of “Dynam(o)ite your Design for Engineers” the engineer did a study case on a simple engineering problem with the single-span beam, to find its geometrical influence on the bar stresses. 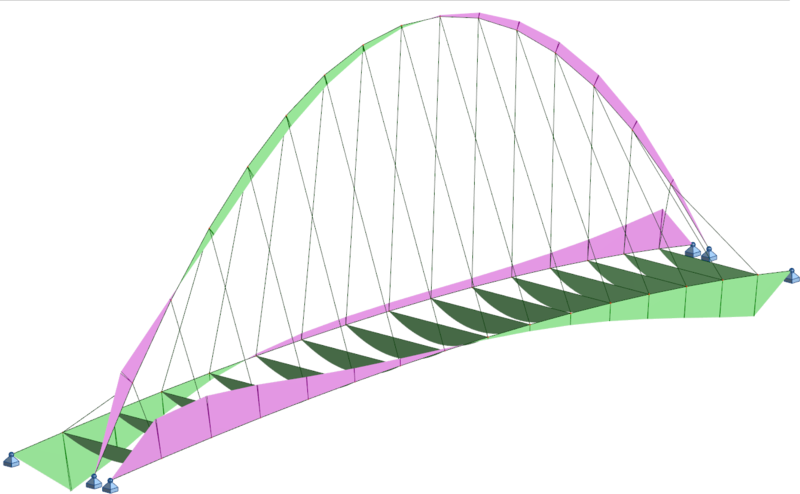 Finding out how to do this in an optimal way, the exercise could be extended easily to get this working to find out more about the geometrical influence of a truss to its internal stresses. One: Hah, this one is easy: we all know that when we increase the truss height, the stresses in the chords will decrease (in case the truss is simple uniform loaded). Why should you care more? Me: well, I need to find out the best solution for my truss. How can I better find this then looking at a diagram with all possible solutions? Besides, the architect in the “Millennium Railway Station – Armadillo Roof” project won’t accept a 5 m high truss, is he? The video below shows how to perform a so called parametric run calculation with Autodesk Dynamo and Autodesk Robot Structural Analysis Professional. In this example a double loop with different input and output is used to get to a final diagram as the one showed below. This diagram helps the engineer to decide which type of truss configuration (in terms of sections size and truss height) is the best one for the purpose of his project. It is time for another part of “Dynam(o)ite your Design for Engineers”. In this episode, the engineer is not sure yet about the dimensions of his geometry. Of course, the experienced engineers have special empiric rules to define the geometrical dimensions of basic structures. But in this case, the engineer wants to push it a step further and wants to see the influence of geometrical changes to the results of his simulation. It all starts with a simple beam on two fixed supports, with a uniform load of let’s say 2,5 kN/m on top of it. Let’s see what the influence of the length of that beam is on the maximal bending stress in the beam. So, the video below explains how this can be achieved with Dynamo and RSA. The intention is to have a visual representation of the stresses for a beam length varying between 1 and 15 m.
Me: Be patient my friend, let’s start with a simple principle. If this works out fine, than we can make a next episode and push it even harder. Special thanks to Emmanuel Weyerman and Dimitar Venkov. Datasets for this episode can be downloaded here. For an engineer it is sometimes hard to follow the architects ideas on complex modelling. 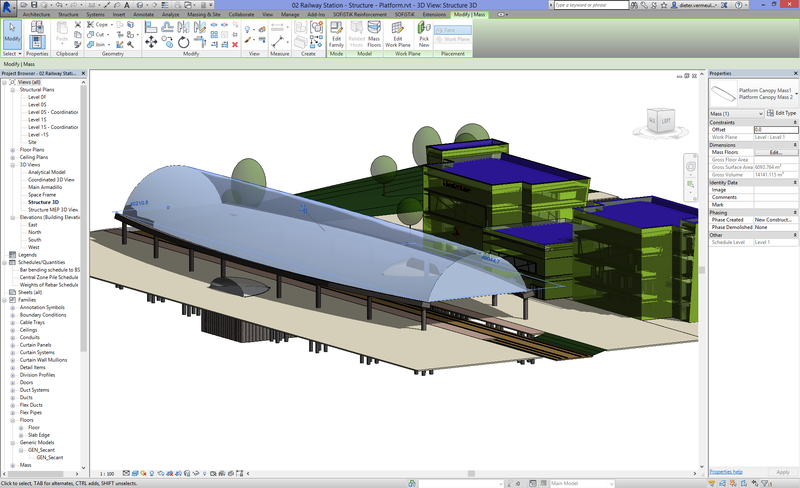 In the next example this architect demands for a double curved canopy roof for use as a shelter at the Millennium Railway Station, and he likes to call it the “Armadillo Roof” (our virtual project at the Autodesk EMEA NE team). The engineer and architect agreed to make use of trusses to span the width of 20 m and height of at least 7 m. No simple 2D lattice girders, but 3D triangular space frames. 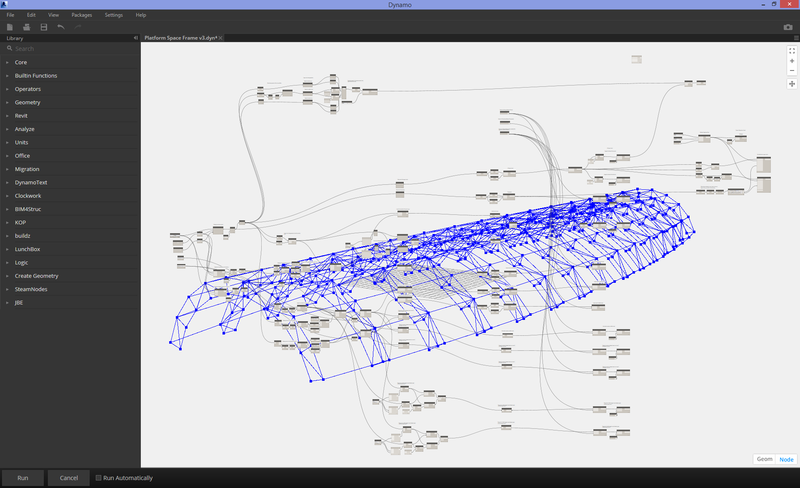 Sigh… modelling this with an equal center distance as individual complex trusses is hard work, even if you use Revit. One: "Hey, haven't you ever heard of Adaptive Components?" Me: "Yes, but I'm thinking ahead for the next episodes and want structural elements, with analytical lines and use cloud analysis, and ....so much more"